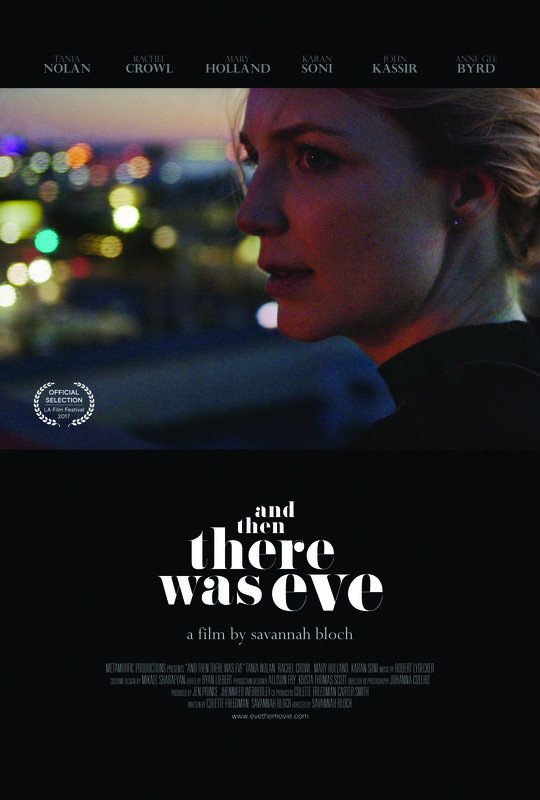 In our exclusive clip from And Then There Was Eve, a ‘spirited discussion’ breaks out on someone’s porch. Yet it’s understandable, because one of the women is searching for her missing husband. According to the official synopsis, “Alyssa, a successful photographer, wakes one morning to find her apartment ransacked and her husband mysteriously missing.” That’s Alyssa, played by Tania Nolan, in the clip below, and clearly the stress on her is building. The synopsis continues: “Left without even a photograph to offer the police, she turns to his colleague Eve, a talented jazz pianist with a flirtatious charm and disarming grace.” Eve is portrayed by Rachel Crowl. Ah, so something different is afoot. The clip teases the film’s apparently quiet tone; the teaser, also viewable below, reinforces this notion. To cap it off, we are also pleased to debut the poster for the film. Savannah Bloch makes her directorial debut. And Then There Was Eve will enjoy its world premiere at the upcoming Los Angeles Film Festival, which will run from June 14-22. More information is available at the film’s official site.